The cables in the highway were installed by a landfall team and end in a joint bay on Thornton Gate just where it turns off North Promenade. 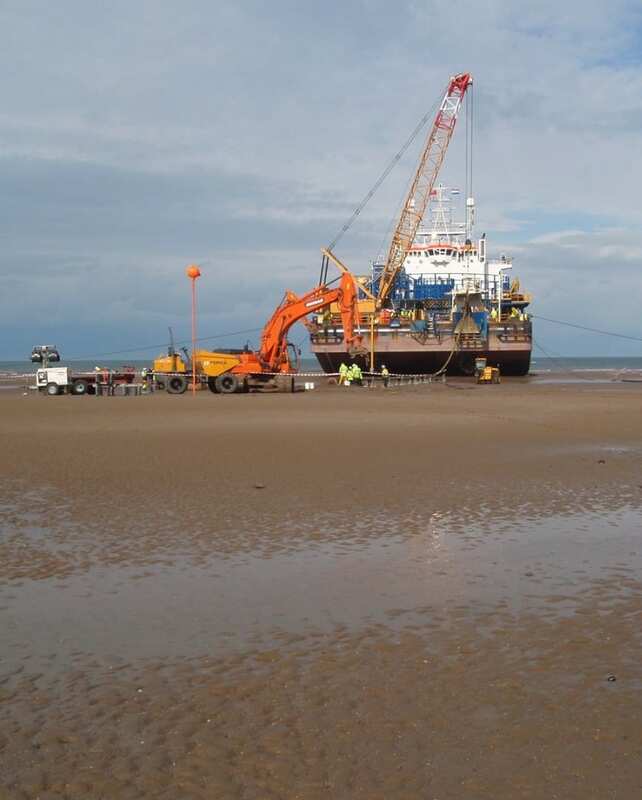 A separate offshore team were responsible for installing the cable to low water mark, and this section describes the bit in the middle, the landfall interface, and how it was managed. It was originally planned to drill underneath the sea wall, and this was changed to an open-cut method where the ducts were laid in a trench. 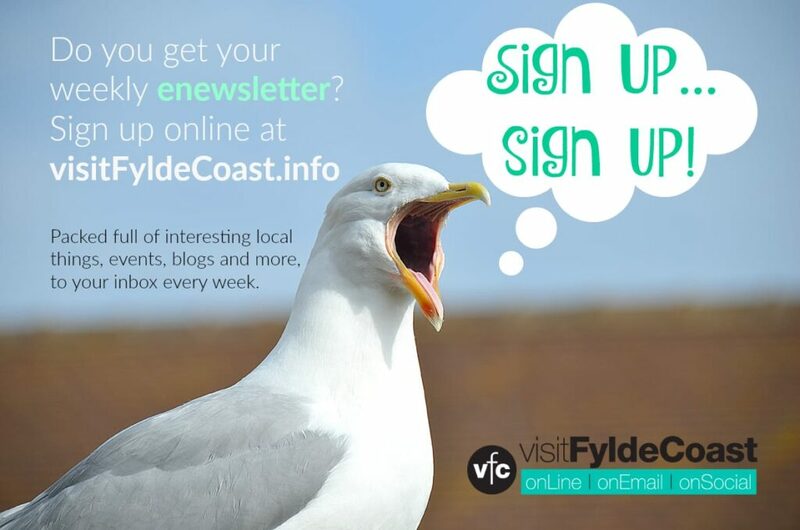 There were a variety of technical reasons for this change, most of which were to do with future-proofing the safety of the cable should there be any work in the future to re-build the sea defences. 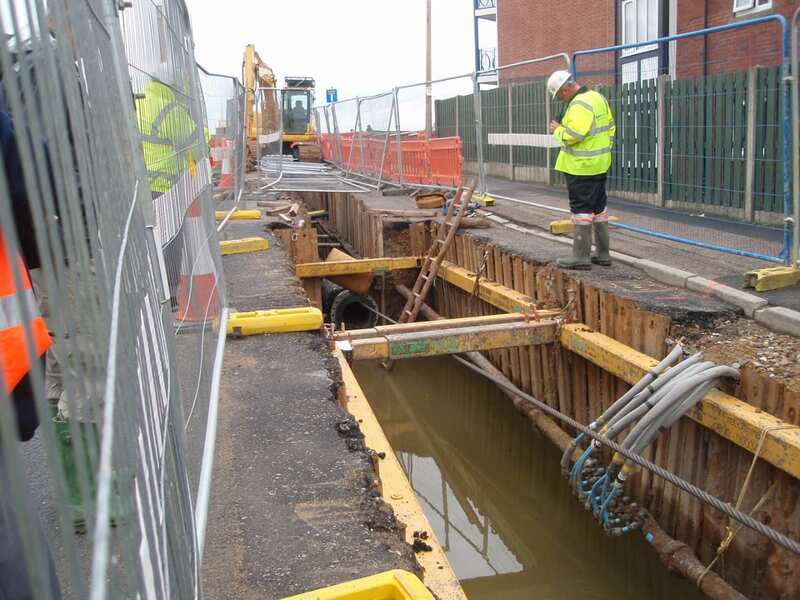 The first part of the works was to cross the road from the excavation at the joint bay at the top of Thornton Gate, to lay ducts in a trench across to the sea wall. This was carried out one lane at a time with traffic lights closing off each piece of the road while maintaining access for cars. 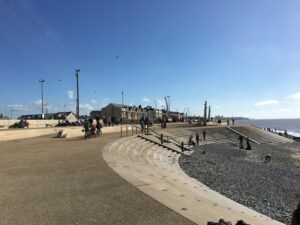 To provide complete protection for the cable in the event of future sea wall works, a concrete cased steel pipe was laid from Thornton Gate under the existing promenade and down the beach to where the new design would finish. Significant protection for the cable was provided by a concrete casing, so that there is no possibility of disturbing it in years to come. 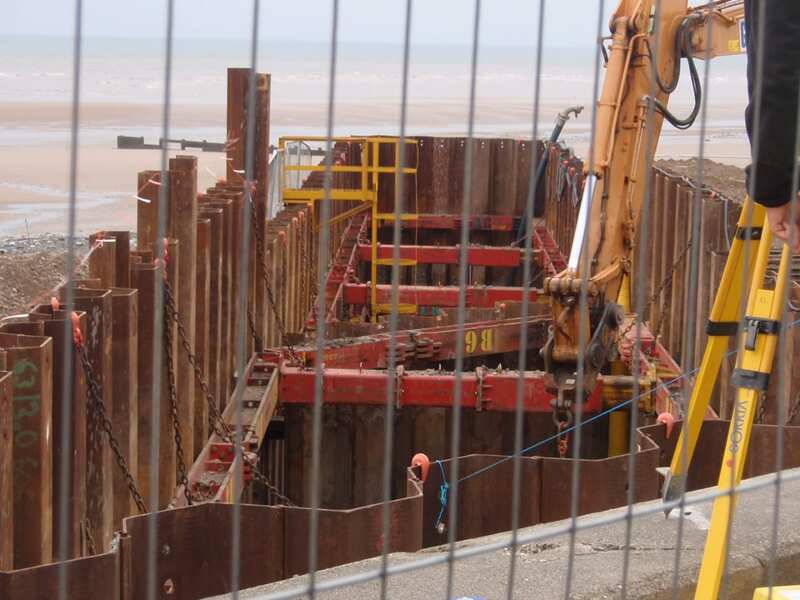 To carry this work out in the tidal area of a beach, a long, narrow cofferdam* was built from the front re-curve sea wall out into the beach. 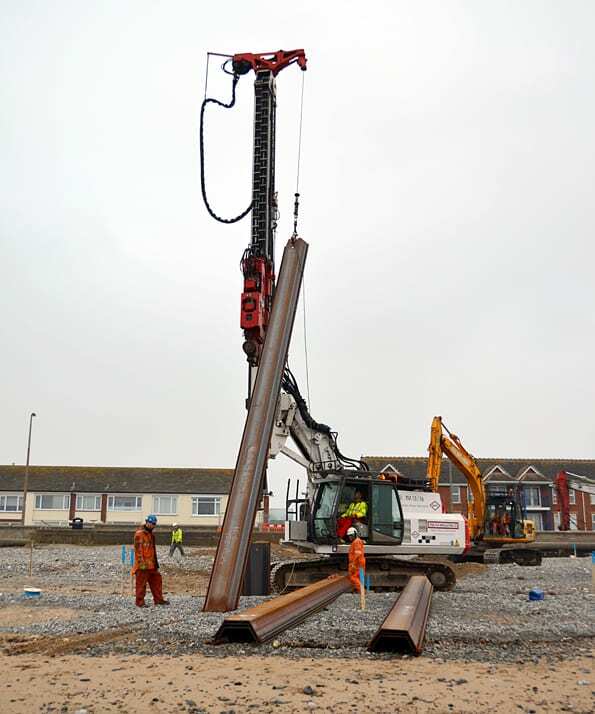 It was necessary to lay the duct under the existing promenade and tall rear flood wall, and it was possible to auger-bore under the wall to minimise disturbance in the area. 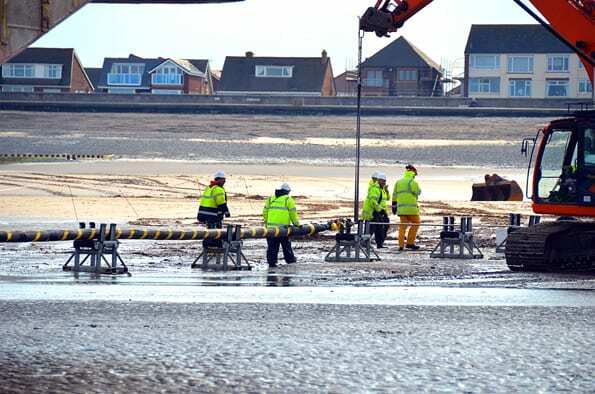 Plastic cable ducts were pulled back through the steel pipe all the way to Thornton Gate making a continuous sealed duct for the cable to be pulled through, and this duct also extends from the seaward end of the steel pipe, buried in the beach out to low water mark. 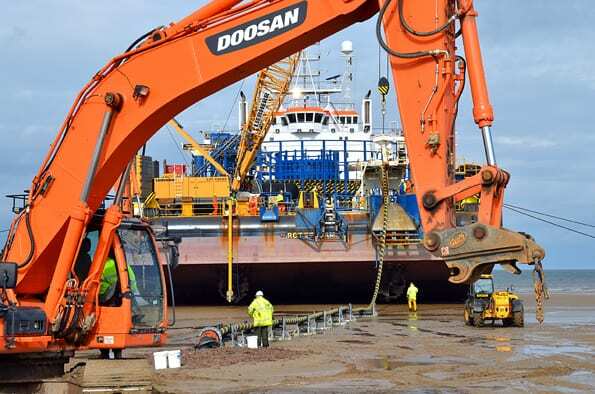 After installation of the submarine cable the joint bay was reopened at the top of Thornton Gate to allow the cable to be pulled from the barge to shore, and then finally to join the cable which comes from sea to the one which was laid on land. 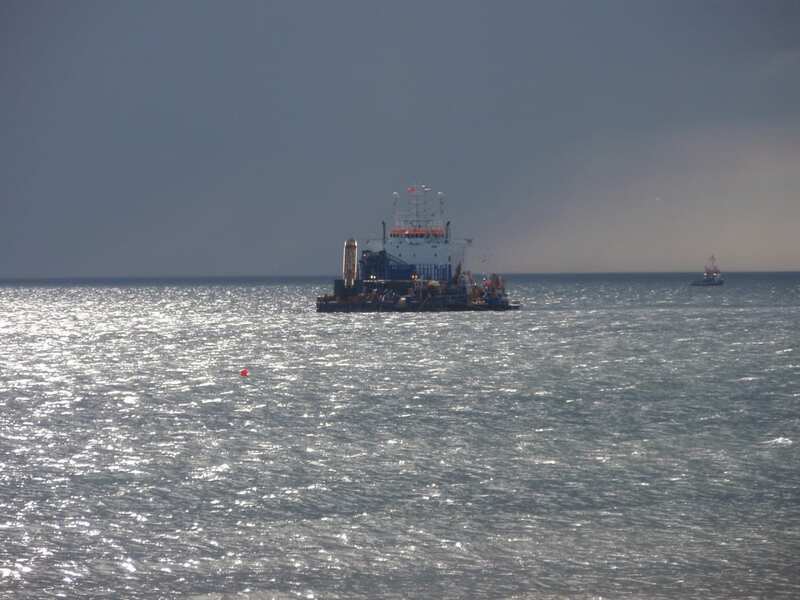 The Stemat Spirit barge arrived just offshore in the afternoon of Saturday 7 May 2011. It beached in the early hours of Sunday morning, waiting for very low tide. 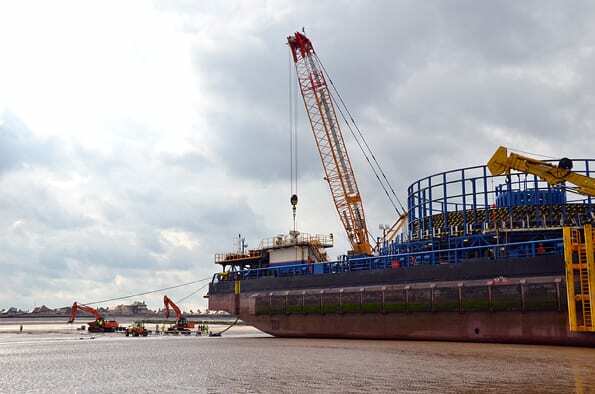 At about 9am on Sunday the process of pulling the cable from the spool on board the barge began. Here are some photos of the works. 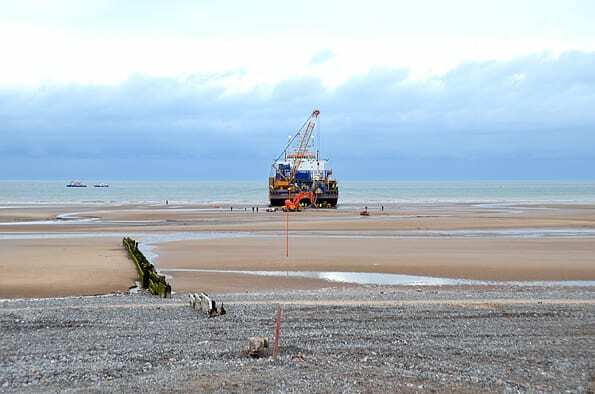 The joint bay on Thornton Gate where the cable comes ashore from the windfarm, and is joined to the cable which had already been laid in the highway.